Comes with a snap closure binder, made of sturdy, leather-look vinyl. Added features include a clear vinyl sleeve for your small items, plus some additional pockets in the back to contain the rest of your papers. 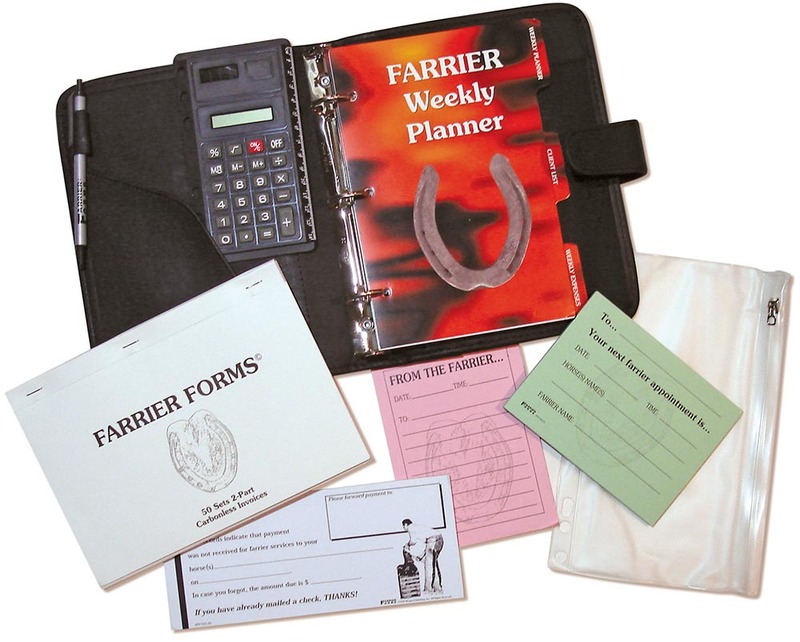 Measures 8" x 10" x 2"
The Organizer includes these items, all designed specifically for farriers. Once you have the binder, each year after you only need to buy the refill.